This home is built by Slokker Canada West. Quality builder since 1935, with more than 80,000 homes delivered worldwide. Slokker-West has built 36 quality new infills in the past 4 years and has zero complaints with Alberta New Home Warranty. 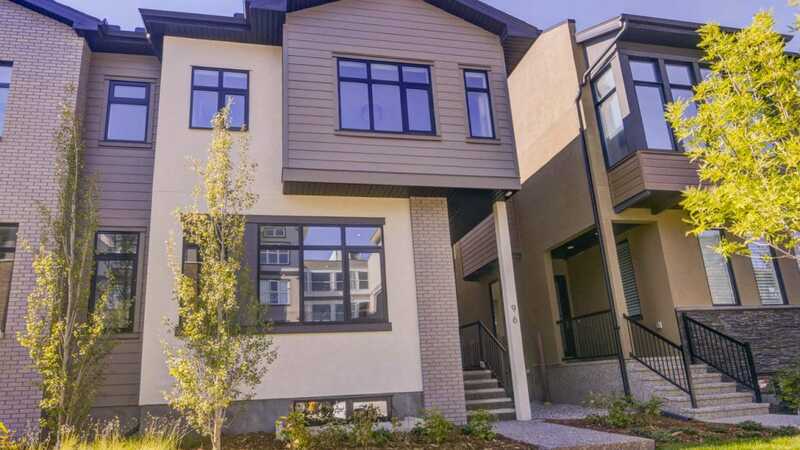 These stunning homes feature tons of non-visible durable builder perks such as an envelope guarantee inspection routine, basement in floor heating rough ins, full floor inspections before the finish flooring is laid and much more. Top quality relies on top procedures provided by top builders. Slokker Canada West delivers. These stunning infills are designed by the Porada Design Group to ensure properly proportionate room sizes to ensure living spaces that are open and workable. The high quality finishing flow through to the chef inspired kitchen with a stainless steel appliance package by FISHER & PAYKEL.All of the contemporary design details will leave a lasting impression with your guests while you continue to marvel at them for years to come.